A note from TheHighTechHobbyist: This is a guest post from Adam over at Drone Worx. Here is a little about the company: Drone Worx is changing the Drone industry within the hobby aspect, commercial, and competitive area. By specializing in these fields, we can give the best advice to our customers on what they can do to improve their machines. Come and browse our huge range of drone products today. 2016 has been a good year for drones – the law surrounding their use is starting to be relaxed; the technology is becoming cheaper to put together; and huge companies are starting to realise their potential. From drone racing to aerial photography and filming, UAVs have a ton of functionality. But how is that versatility being used today other than drone racing and filming? If you’re curious to see how drones might be used in the future, The Drone Worx, has put together a list of six of the most unique uses of drones today. The only time we hear about drones and airplanes together in the news is when a drone pilot has flown his small UAV a little too close to a plane. But drones and planes can work alongside each other harmoniously. Airplanes are big, and inspecting each and every part of that craft is a necessary, but long task. To speed up this process, some airlines are testing out using quadcopters fitted with cameras to make these inspections. Taking HD videos, the drone can offer up a number of benefits over the more traditional method of inspections. For example, drones can view all areas of the plane without the need of a special platform, including what are ordinarily difficult places to reach. It also means that engineers can sit in a centralized location and inspect the aircraft without putting themselves at risk. Scientists around the world have been itching to get up close and personal with lava lakes for a long time. There is, of course, one problem: extreme temperatures. Heat suits have helped scientists get closer, but they don’t offer much maneuverability, often hampering studies. More recently, drones have been put to work taking photos and film shots of various volcanoes all over the world. They are also able to take air samples, providing scientists with new data that they wouldn’t necessarily have been able to gather beforehand. You’ve had a long, tough day at work. You don’t want to cook. Delivery pizza sounds like the best option, but its winter; the roads are full of ice and it’s snowing – it’ll take forever for the delivery driver to make his way to your front door. The answer, of course, is drones. You have no doubt heard about companies like Amazon patenting technology for delivery drones – but have you heard about the pizza delivering UAV? Domino’s has actually gone on to deliver several pizzas to customers in the UK using what they’re calling the ‘Domidrone’. The big problem facing the companies looking to deliver their products by air at the moment are the regulatory bodies, and until a system is put in place, pizza by drone will remain but a dream. 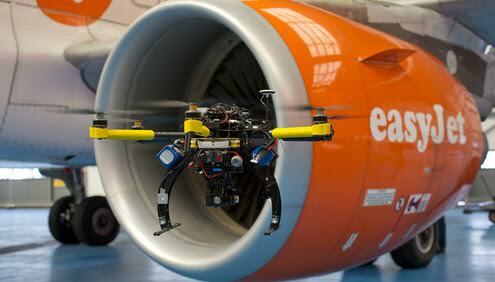 Check out the ‘Domidrone’ at work below. In another example of drones helping advance science, we see drones chasing down one of the most extreme types of weather on Earth: Tornadoes. Not much is known about the inside of tornadoes, mainly because it isn’t easy to get inside one. But students over at Oklahoma State University are working on a Kevlar covered aircraft that they can fly directly into the center of a tornado. This may help scientists gather the data they need about how and why tornadoes are formed. Rather the drone than us! In places like California, real estate agents trying to sell huge properties sometimes have difficulty portraying just how big the estate is. That is why some estate agents are turning to drones to help them sell property. Using drone operators and photographers, they capture the house and all its land from angles that were before unseen. 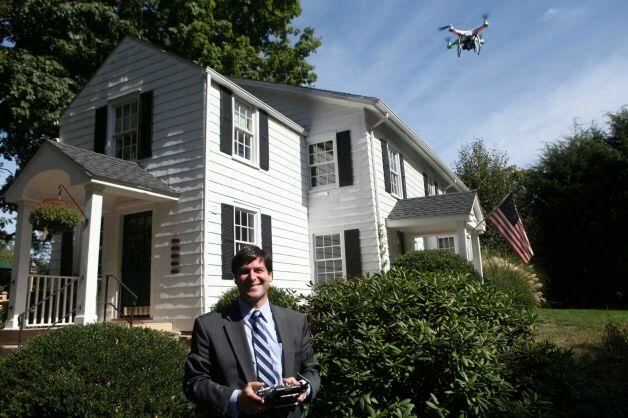 California isn’t the only place tech-smart real estate agents are using drones either. Australia is allowing drone use to help sell properties too. If you’re a festival-goer, you’ll know that the worst experience of the weekend is waiting in line. Whether that’s to get food, get into the next tent to see your favorite act, or just nip to the loo. And if you’re at a festival, there’s only one thing that can make that waiting around better: music. The Party Drone aimed to provide just that. When festival-goers purchase their ticket, they also got to add their favorite song to the festival playlist. This playlist would then be pumped out by Spotify’s Party Drone upon entry, playing your very own favorite song. Watch the party drone in action below. So there you have it, six uses for drones that are very unique. We’re keen to see how drones will be used in the future, and if you know of any new and exciting uses for drone technology let us know! Thanks to Adam over at Drone Worx. Visit the site to purchase the latest drones and accessories! And please feel free to comment any other unique ways you’ve seen drones being use.